As part of Chicago’s Vision Zero initiative, CDOT installed new crosswalks on September 21, 2018 at the intersection of Milwaukee, North and Damen. 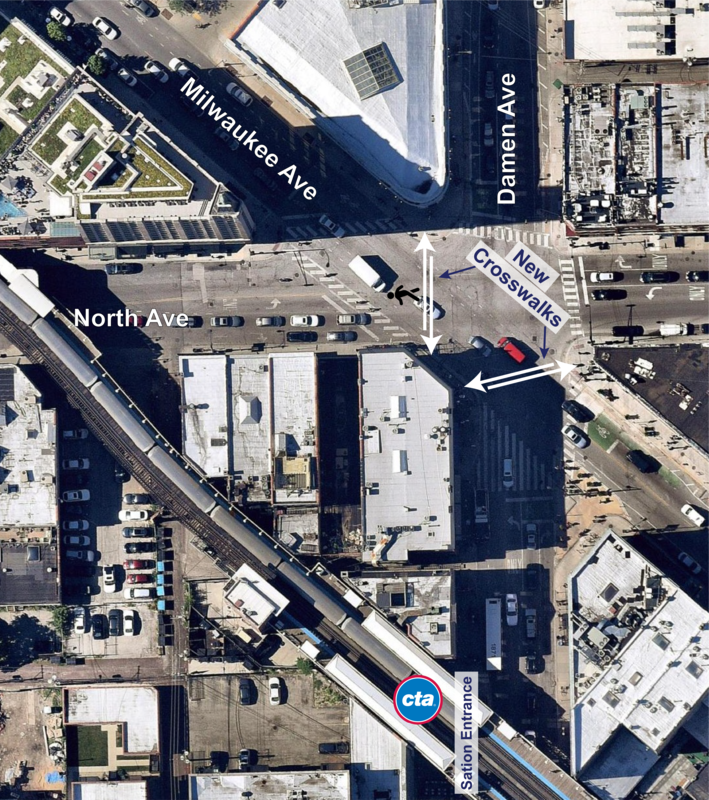 These improvements are part of CDOT’s Milwaukee Avenue Rapid Delivery Project. Milwaukee Avenue, a high crash corridor as outlined in the Vision Zero High Crash Corridor Framework Plan, is a pilot for CDOT’s Rapid Delivery Projects.  These projects are low-cost, “quick-hit” changes to the street such as placement markings, colored pavement treatments, and changes to signage or signal timing to promptly improve street safety at identified locations. 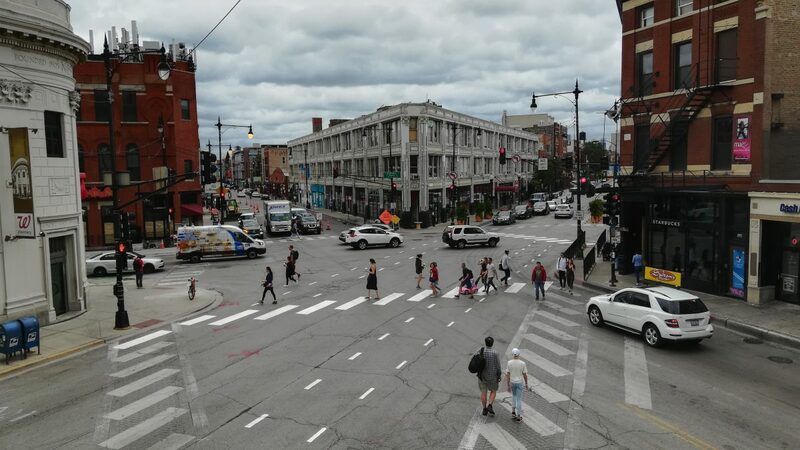 The two newly striped crosswalks at this complex, highly trafficked intersection were designed by CDOT’s Vision Zero Team in partnership with the Wicker Park and Bucktown communities. 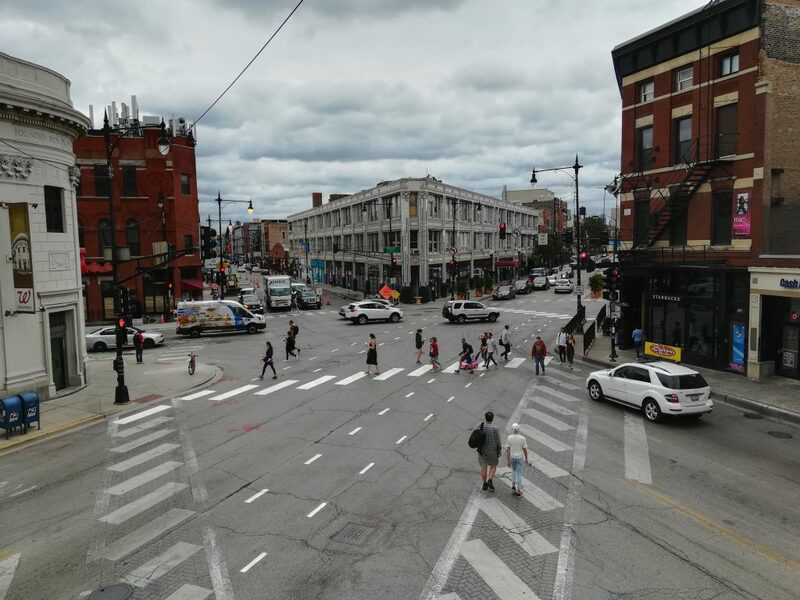 The added crosswalks and corresponding pedestrian signals make the intersection more comfortable and logical for pedestrians, connecting people using the Damen CTA Blue Line station and the surrounding streets more directly. Importantly, installing the crosswalks and adding signals will improve intersection safety by clearly signaling to vehicles where pedestrians will be in the roadway and indicating to pedestrians when it is safe for them to enter the roadway.